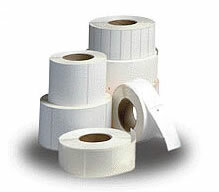 Dynamic Services provides Thermal Transfer Ribbons for most all label printers. Our (3) types of ribbons cover most all applications. If you don’t see the manufacturer of your printer listed below, please call or email us with the specific model and application. We will be happy to provide you with a quote and availability. Our Wax Resin ribbon is ideal for harsh environements. 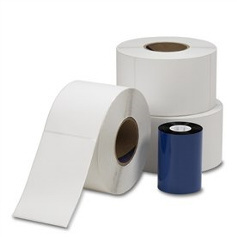 The wax resin blend brings durability to Thermal Transfer paper labels as well as our Kimdura Synthetic labels & Tags. 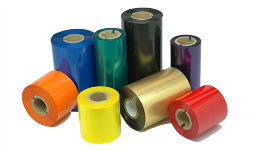 Our Resin ribbon combined with our Polyester (GWP) and Polypropylene (2MP) labels offer scratch & chemical resistance in most applications.